I love the California black plums...look how luscious they are...sweet and crunchy too ! Love the colors of this black plum...orangey red...how could I resist them and I have them in the fridge all through the season :) The orange syrup makes the cake very forgiving; even if you overbake it a touch, it won't seem dry...yay! it was love at first bite....mmmm yummy ! 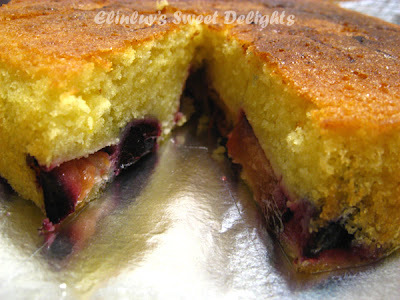 I am not sure whether the slices of plum should remain on top after baking but mine sank to the bottom - Curtis did not show the final result of the cake- the picture shown was before baking :) whether the slices remains on top or bottom ...bottom line it still taste DELICIOUS ! You bake and tell me your result...okay ? And let's compare notes :p My photos are for drooling and to tempt you into baking this too...see how wicked I can be... one of.my 2012 resolutions is not to tempt my readers anymore :p and I hope I can keep it....do you want me to show more photos in all my 2012 postings ??? 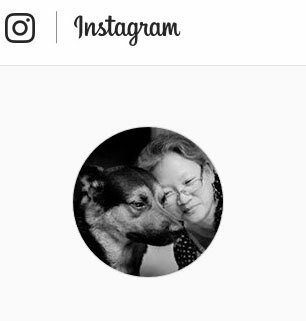 but I know my Piggy Jo wants more photos of my bakes...so that she can sleep better ( virtual feasting to her is more healthier LOL! Silly girl ! 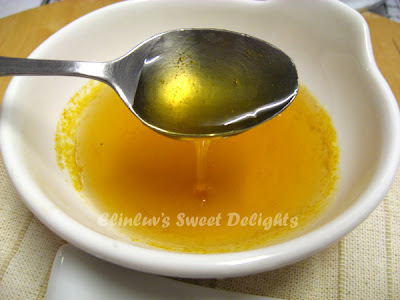 To make the orange syrup : Combine the orange zest and juice, sugar, and vanilla bean in a small saucepan over medium-low heat and simmer for 8 minutes, or until the mixture is reduced and syrupy. Set the syrup aside to cook, discard vanilla bean. 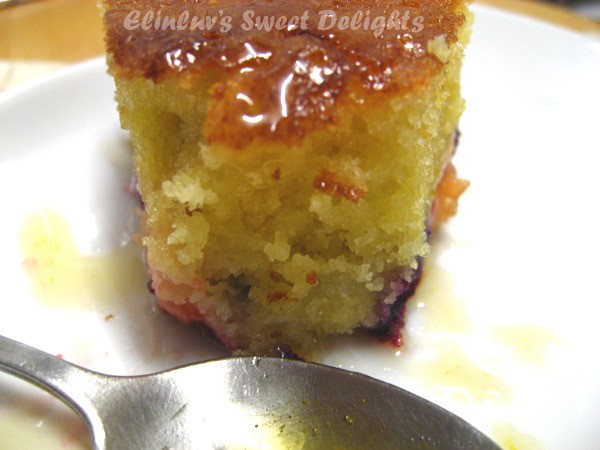 To make the cake : Stir the lemon juice, lime juice, honey, and the 1 tablespoon butter in a large heavy saucepan over high hear for 5 minutes or until the mixture thickens. Add the peaches ( plums ) and cook for 2 minutes, or until they soften slighly amd the juices thicken. 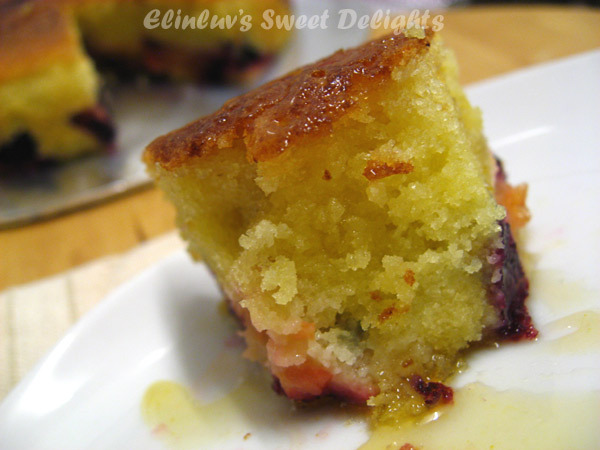 Spoon the peach ( plum) mixture onto a baking sheet and let it cool completely. Preheat the oven to 350°F . spray a 9 inch diameter springform cake pan with nonstick cooking spray. Line the bottom of the pan with parchment paper. Whisk the flour, baking powder, and salt in a medium bowl to blend. Set it aside. Using an electric mixer,beat the remaining 3/4 cup butter with the sugar, lemon zest, and lime zest in a large bowl until light and fluffy. Add the eggs, one at a time, beating well after each addition before adding the next. Add the flour mixture and mix just until blended. Transfer the batter to the prepared cake pan. Arrange the peaches in a single layer atop the batter. Bake for 10 minutes. Then reduce the heat to 300°F and bake for 1 hour longer., or until the cake is golden brown on top and beginning to pull away from the sides of the pan. Transfer the cake pan to a wire rack and let it cool for 30 minutes. 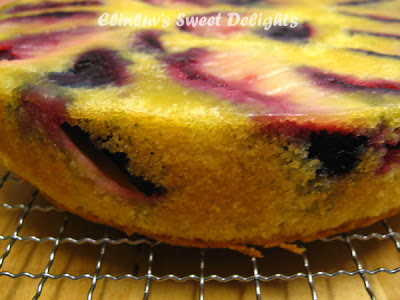 Run a small shrp knife around the sides of the pan to loosen the cake. Remove the pan ides. Transfer the warm cake to a platter, and dust it with confectioners' sugar. Cut into wedges , and transfer them to plates. Drizzle the orange syrup and the cream over each slice of warm cake, and serve. This looks deliciously moist ... does the syrup make it very sweet? I'm not really into too sweet cakes. yes, you're wicked..drooling.. in fact i'm craving for something sweet now! I saw peaches in Jusco last Sunday and nectarines in Tesco last Wednesday. That is so super gorgeous, and yummy too I bet. Wendy...hahaha yea now only Jusco and Tesco selling them. 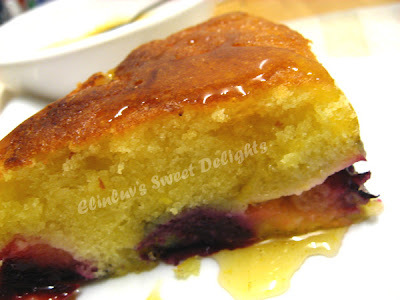 When I make them, none was availabe...this cake was made a month back :p yes...plum and the orange syrup goes well...perfect match ! This cake is a 5 stars rating ...my opinion that is ! LOL! Peach and honey! Love the combination! The cake looks so moist! Thanks for sharing. 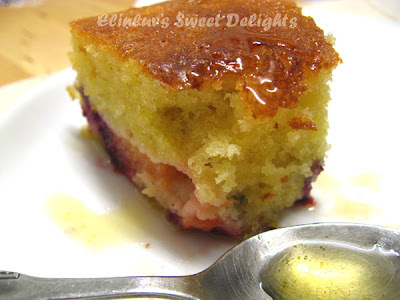 Wow this cake looks so moist and delicious, peaches & honey! 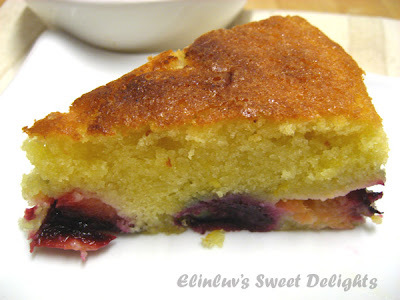 But I could even go for a slice of the plum. Delish! !